During a recent outing in search of a rarity in Salmon Arm, the Mountain Ash that the Feildfare was frequenting was often and voraciously raided of their berries. The trees were stripped clean of the berries from the top 2/3 of plants. 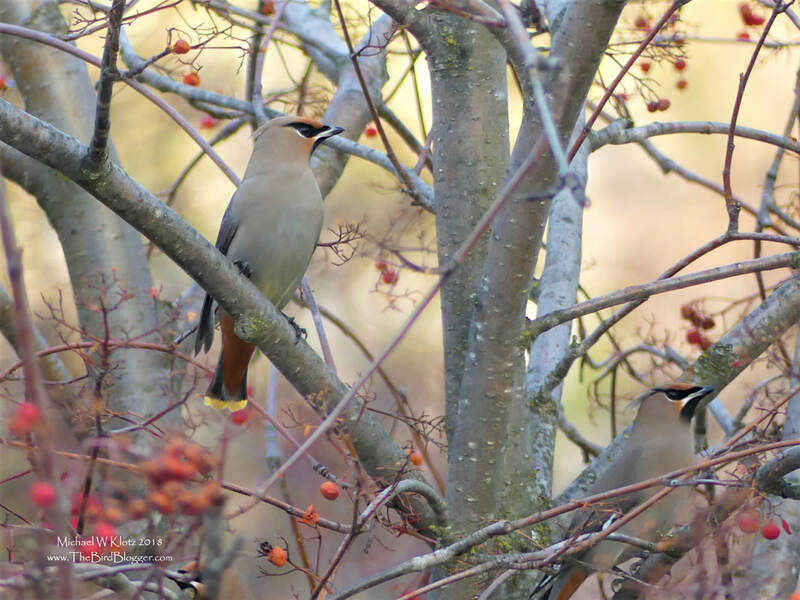 The rest were soon to be devoured by Robins, Starlings, Flickers, and Bohemian Waxwing. A small pack of the later flew in and were promptly chased by the robins that had been there since first light. Always love to see waxwings and was lucky enough to see the Fieldfare as well.